The latest update to Rogers’ firmware update schedule is now online and couldn’t be vaguer. The carrier posted multiple devices which are going to receive their next firmware update as “coming soon”. It lists devices like the BlackBerry Priv which will receive an update for Google’s Security fixes for July 15. It lists many devices that should be updated including the likes of the Galaxy S6, Galaxy S6 edge, S5 Active, S5 Neo, and Galaxy A5’s updates all as “coming soon” however, Samsung has never been the quickest at putting out updates, especially for carrier specific devices. 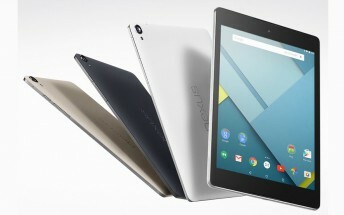 Aside from the Galaxy family of devices with Marshmallow updates “coming soon” there is also an update listed for the HTC Nexus 9 tablet “coming soon” and the update is for Nougat 7.0 and bug fixes. Sure, at this point, all that we could do is speculate. We are still about 3 or so months away from the expected release of Android 7.0 Nougat and Google’s announcement of the newest Nexus devices. We can expect the Nexus launches to happen anytime between September and the end of October and sometimes a little ways into November. Besides, unlike the way Apple released iOS updates, the Android Nougat update wouldn’t hit devices before new Nexus hardware is released.